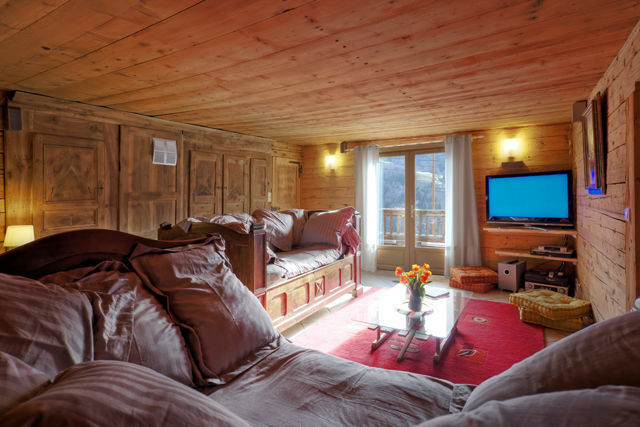 If you're looking for one of the best La Clusaz ski chalets very near to the popular Aravis ski areas of both La Clusaz and La Grand Bornand, then newly renovated three-storey Chalet Cashmere Spirit is definitely worth a look. 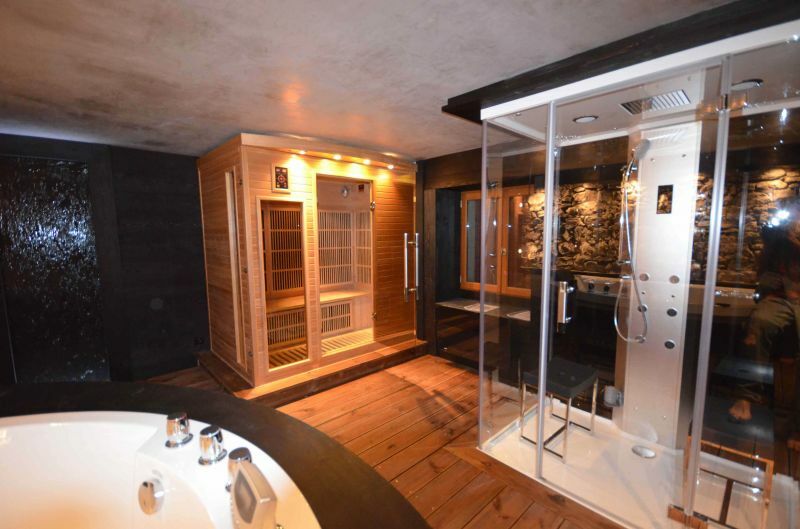 The chalet has been very well designed to an impeccably high standard and has its own indoor 27° swimming pool (8.8m x 4.2m), an indulgent sauna, two dressing rooms and a glass walkway leading to one of its three suites. 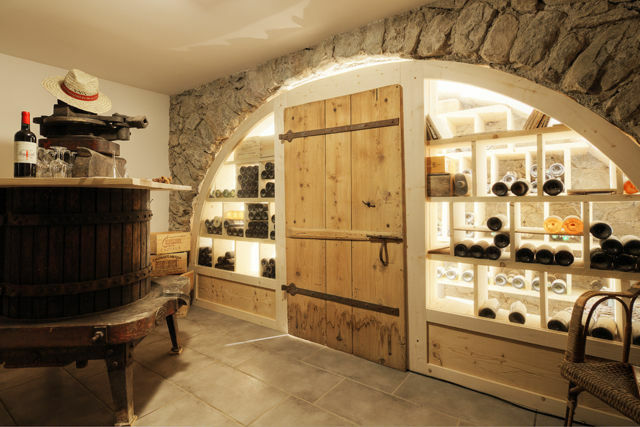 It also has a very well-stocked wine cellar (reasonably priced and charged at the end of your stay). 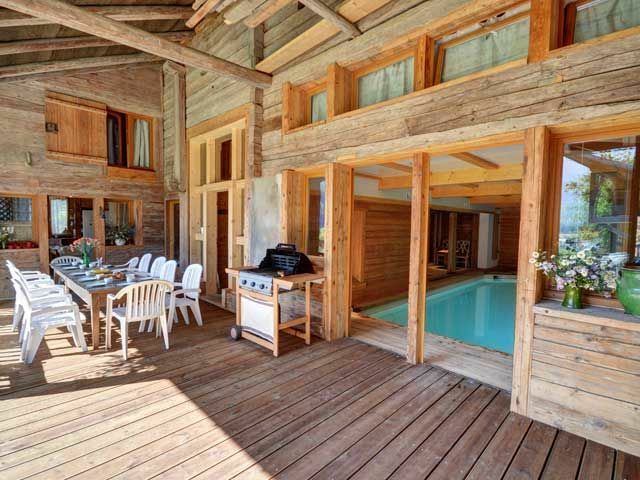 Situated just outside the pretty village of Manigod, this stunning chalet will leave you wanting for nothing. 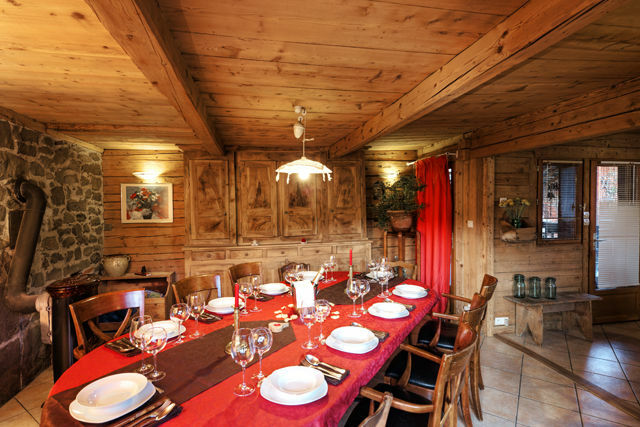 Browse our availability and hold Chalet Cashmere Spirit for 24 hours whilst you discuss with family and friends to make sure you don't miss out on an amazing La Clusaz ski holiday. 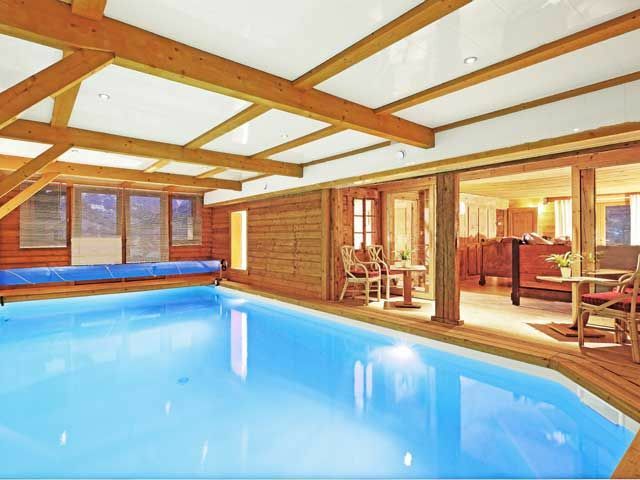 This beautiful La Clusaz ski chalet comfortably accommodates up to 12 people across each of its luxurious 340 square meters. There are two comfortable living rooms with plenty of seating, one with a large plasma screen TV and the main living room has an open wood fire. Of course, there's WiFi too. The dining room has a wood-burning stove (there's a plentiful supply of firewood) and a large dining table for everyone to gather to enjoy some great meals together. The kitchen is well-equipped with everything you'll need to rustle up some hearty meals and it's a very good size too. There's too many features to mention but it does have a cafetière Nespresso, a table for more casual meals and an American-style fridge. 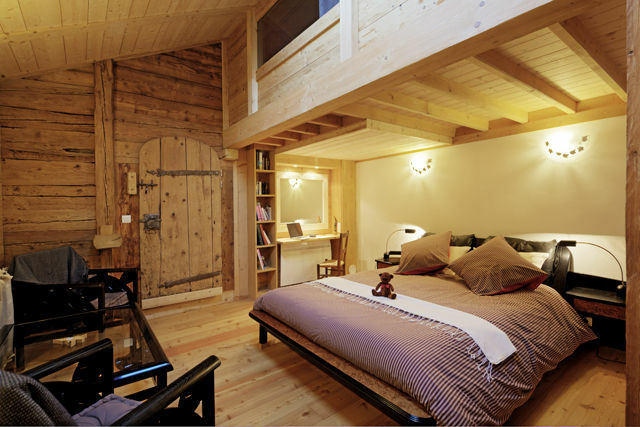 There are five relaxing bedrooms including three suites and a mezzanine. What's more three of the double beds can each be separated into a pair of singles for ultimate flexibility. 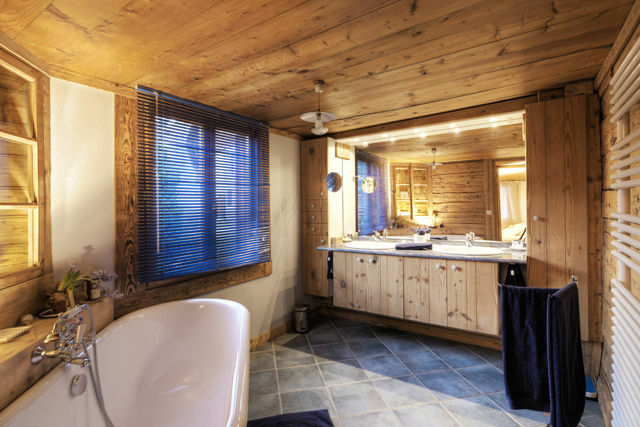 There are five bath and shower rooms, one with an elegant roll-top bath and double sinks. 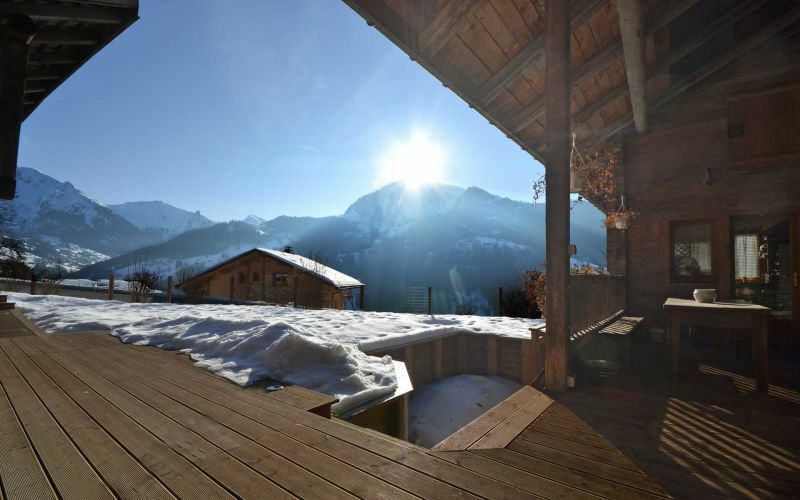 Outside Chalet Cashmere Spirit there's enough parking for four cars (including a garage for one car) and there's a spacious south-facing terrace for everyone to enjoy the amazing views across the Manigod Valley and indulge in a spot of sunbathing or star-gazing after dark. 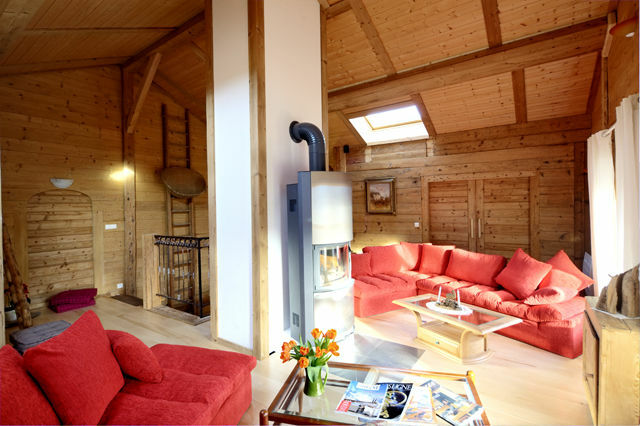 Chalet Cashmere Spirit is less than 1km from the centre of Manigod and there's a wide choice of great places to ski in the nearby La Clusaz ski area. 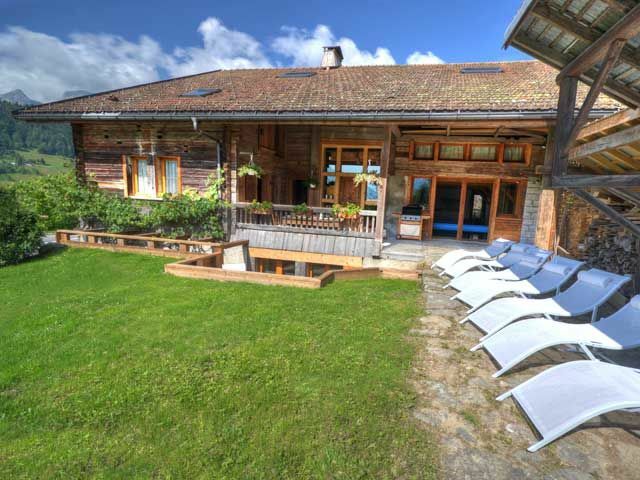 The chalet is a mere 10 minute drive up and over the hill to La Croix Fry, 15 minutes to Merdassier or La Clusaz itself and 30 minutes to Le Grand Bornand. Each of these share a single Aravis Ski pass that provides 220km of skiing and 95 lifts with slopes suitable for all levels including extensive off-piste areas. There's so much to go at and the great choice means there's always somewhere new to try. Each of the main ski centres has some excellent ski hire shops and expert ski schools too. 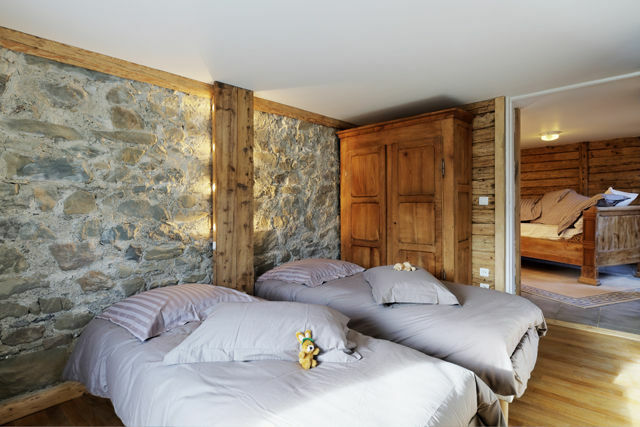 Chalet Cashmere Spirit is the perfect base to enjoy the many summer activities too ranging from mountain-biking, alpine walking and horse-riding through to mountaineering, climbing and paragliding. There's also high-wire forest adventure centres for the whole family to enjoy. With such a vast expanse of tracks, trails, paths and sky across fragrant alpine meadows you'll never run out of fresh challenges to go for. The Haute-Savoie region has many jewels to explore whatever the season and Chalet Cashmere Spirit is less than an hour from Geneva airport courtesy of a new section of the motorway that makes getting here a breeze. The quiet village of Manigod is still a traditional farming village. 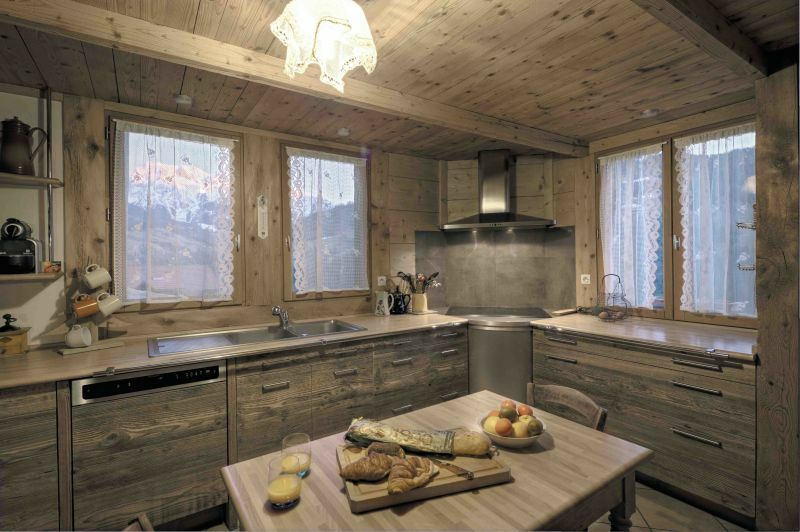 The local farms make Reblochon using the traditional methods that produce that distinctive taste enjoyed in many Savoyard dishes like tartiflette and fondue. It has a fantastic boulangerie, a traditional grocery store, a pottery and a small but excellent restaurant if you want to take a night off from cooking. Thone is a 10 minute drive down the hill and is a bustling market town complete with fantastic amenities including an open-air market where regional growers and artisans gather to sell their fresh produce and crafts, a large supermarket, chemists, pavement cafes and banks. Medieval Annecy, which is bidding for the 2018 winter Olympics, with its pretty network of canals and picturesque lake is just 20 minutes away. Soak up the carnival atmosphere, browse the quaint shops and markets or escape the city's hubbub onto one of the many international-standard golf courses. The lake itself offers kitesurfing, windsurfing, sailing, waterskiing and fishing for water-lovers. You can even take a cruise. And what a backdrop! There's much more to explore in the region besides. No matter which outdoor activities you're into, you're sure to have a fantastic holiday at any time of the year at Chalet Cashmere Spirit. 30 km (about 30 minutes) from Annecy and its TGV train station, Manigod is as well et 50 km (or an hour) from Geneva airport. 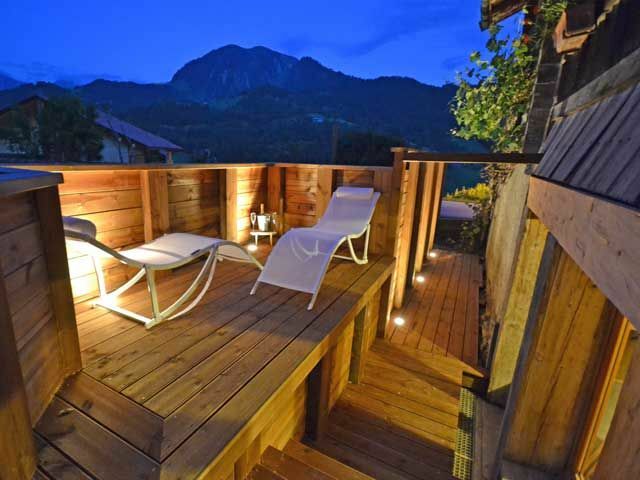 The Aravis Region is turned towards tourism, far away from the 70's typical concrete jungle. The Aravis ski stations are accessible by different roads. They are close to the great european capitals thanks to good plane connexion: 2 hours from Paris, 2 hours from Brussells, 2 hours from London, 4 hours from Moscow... or even by train connexion : 4 hours from Paris, 5 hours from Brussells, 8 hours from London, etc. 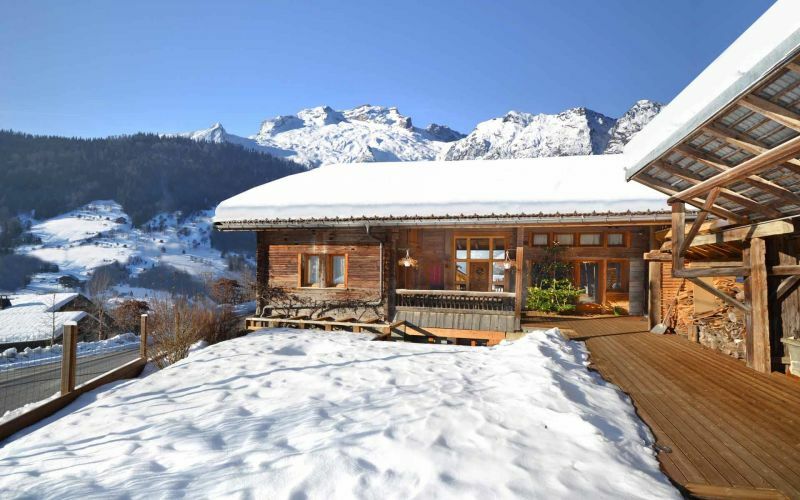 The main cities of the region are less than 2 hours driving away which allows tourists to visit them in a day.In the evening the calm of the chalet will be welcome, as much as the busy after ski feel of the surrounding resorts. 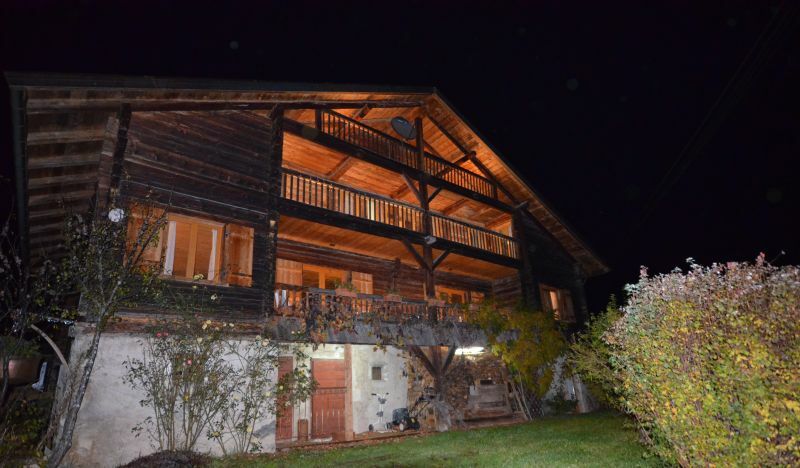 2400€ - 5900€/week depending on time of year.